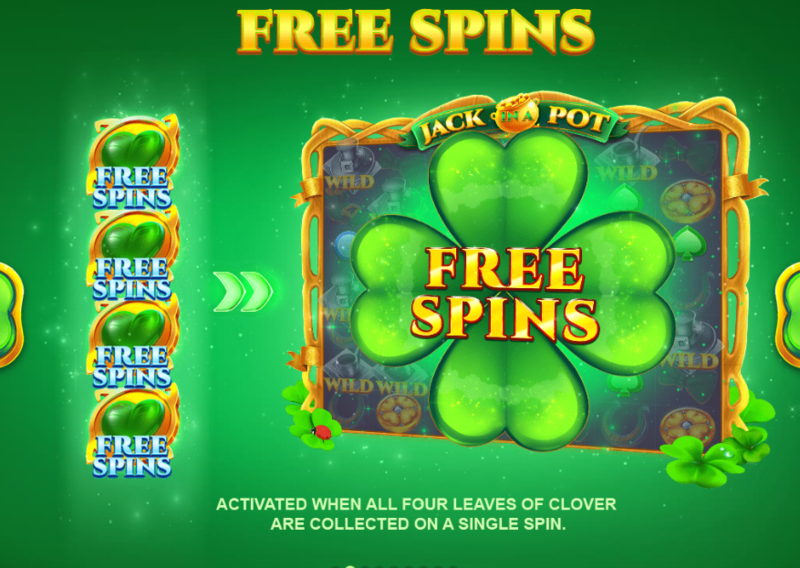 Jack in a Pot is an Irish themed slot by Red Tiger Gaming played via a 7×7 reel set, available at EasySlots. The slot includes; cluster pays payouts, a free spins feature and lots of base game modifiers. The slot can be played on all tablet, mobile and desktop devices for stakes between 10p to £200 per spin. Red Tiger Gaming is quite new in the slot world seeing as it was formed in 2014. Despite this, the company has a wealth of experience to its name. The company has a presence in Europe as well as Asia. The company has a distinctive logo, that includes a majestic red tiger’s head. This logo becomes distinct as you continue playing new casino slots free spins from Red Tiger Gaming. Their slots can be found at several online casinos. Symbols on the reels include; 5 lower value gemstones, a horseshoe, a gold coin, a shamrock-covered bow tie and a boot full of coins. The gold coin pays the highest value. When you land a cluster of 40 or more, you’ll win an 80x your bet. -Rainbow Swaps feature – when a rainbow wild forms part of a winning combo, a rainbow will soar across the reels. This turns random number of symbols into matching symbols to form a new and better winning combination. -Beer Reels feature – if you land a win including beer wilds and it happens to turn on beer taps above the reels, new symbols come into play and a new cluster is formed. -Magic Pipe feature – this feature is triggered when the pipe wild is used to form a win. 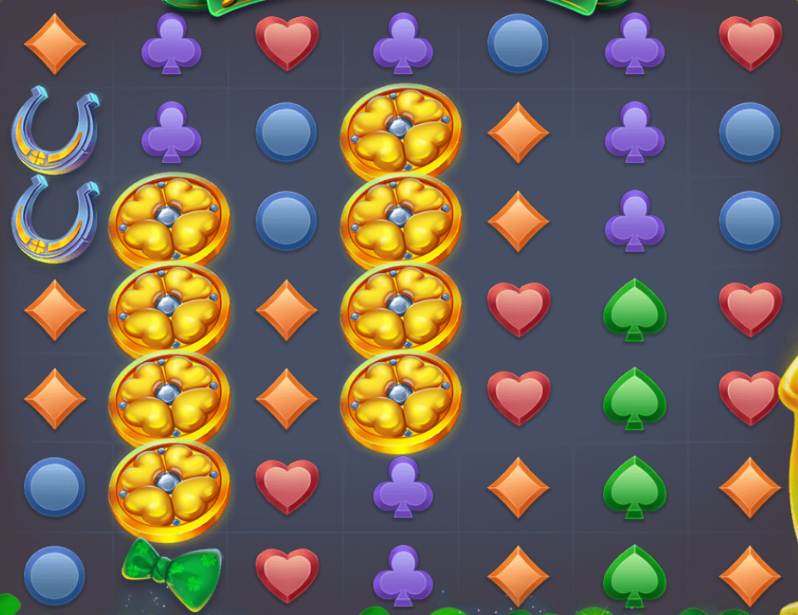 Jack the leprechaun blows into his pipe and transforms the higher paying symbols into massive mega tiles. A new payout is then dished out. -Hat Trick feature – the top hat wild activates it. The lower value symbols are eliminated and substituted with higher paying ones. -Free Spins feature- the free spins are activated when you land 4 free spin scatter symbols over the course of a series of dropping symbols. All wild symbols collected during the feature are triggered 1 by 1 for a chance for bigger wins. Jack in a Pot includes bright visuals and a fun soundtrack. This slot is extremely volatile and its variance sits on the high side with payouts of up to 2,000x your stake on every spin. There’s quite some variety offered here and they occur regularly. There are plenty of Irish themed slots out there. The game engine may seem unusual and its range of modifiers make it stand out. If you like this theme, then this slot will be appealing to you. You can play it here at Easy Slots.